This is the last day of the HAWMC marathon. 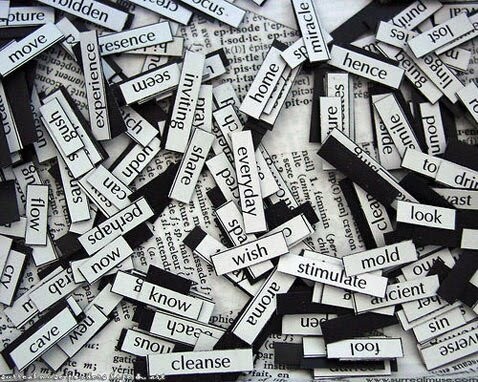 Nothing is more elegant than make a word cloud. My word cloud was made especially for my blog. The only problem is that I could not put it here in its original size. But everyone can see it better in Worldle. Este é o último dia da maratona HAWMC. Nada mais elegante do que fazer uma nuvem de palavras. A minha nuvem de palavras foi feita especialmente para o meu blog. O único problema é que não consegui colocá-la aqui no seu tamanho original. Mas todos podem visualizá-la melhor no Worldle. 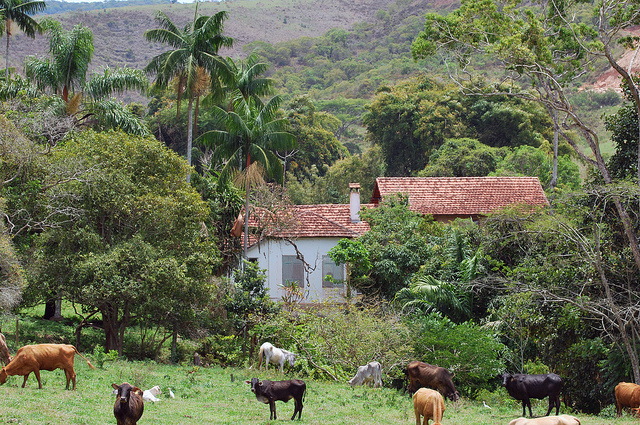 In Brazil now is 16:40. I just discovered a tool that copy the word cloud of “wordle.com” and I saw Meredith Linden blog she suggests the site “worditout.com“. I really enjoyed this… So I took the picture blurred that I had put up. You can now see my word cloud clearly at the beginning and check this other word cloud below made in “worditout”. I felt very happy when I received an email from wegohealth inviting me to participate of the HAWMC marathon in April. Immediately I made my subscription to participate in this marathon of writing. I was anxious and excited when I got the prompts list because I thought I would not be able to write an article every day. I found the prompts really creative and they encourage the blogger to do interesting posts which draw the reader’s attention. Despite my limitations and difficulties because of illness named writer’s cramp and considering the lack of time because of my work, I managed to get up today writing an article per day. I feel like a winner and a person who does not give up easily of important things to my life as it is this HAWMC marathon and i thank the wegohealh blog team that gave us this opportunity and this challenge. Uma das coisas que eu fiz pela primeira vez e que até hoje é uma lembrança muito boa foi os primeiros artigos do meu Blog. Eu não me lembro exatamente dos motivos que me levaram a fazer um Blog, mas eu sempre gostei de escrever, apesar da câimbra do escritor. Antes do Blog, eu já escrevia para jornais da cidade e da universidade, na época da máquina da datilografia. 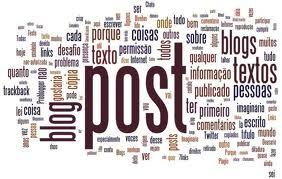 O meu primeiro Blog escrito em português foi o “Spaces.com” do Hotmail. As primeiras matérias do “Spaces” foram estas TRÊS que postei aqui num único artigo intitulado “Psicologia” quando este blog foi encerrado pelo MSN e migrado para o “WordPress Blog”. O meu segundo Blog escrito em inglês era do Yahoo 360º que não existe mais. Posso dizer que este é o meu 3º blog por ter um design e configurações totalmente diferentes do Spaces. Quando comecei a escrever o primeiro Blog no ano de 2005, eu não tinha experiência e eu lembro que fiquei muito ansioso para escolher uma temática, um foco e um nome para o blog. Eu acho que este foi o primeiro desafio. No princípio, eu comecei a falar sobre comportamento e psicologia, assuntos que me interessavam e que diziam respeito as minhas experiências. Eu ficava ansioso e com medo de escrever bobagens e errar na gramática. Eu queria fazer algo bacana, sui generis, mas não tinha experiência e nunca tive ajuda de ninguém. Aprendi a fazer sozinho. Eu lembro que em alguns momentos eu editava um artigo várias vezes. Eu percebi que estava diante de algo que não era fácil. É preciso ter um mínimo de conhecimento técnico. Hoje, estou procurando direcionar mais o Blog para um tema importante que é a distonia e o comportamento. E tenho aprendido muito com a equipe do WEGOHEALTH blog que tem proporcionado a todos nós um aprendizado importante no como fazer blog da saúde através de ações como o HAWMC e os chats no twitter. Eu lembro que quando eu configurei pela primeira vez o meu Blog, eu fiquei muito feliz ao ponto de dizer para os meus amigos sobre a importância de ter um blog, mas como eles não gostavam de escrever, não deram muita atenção. Mas, eu continuei escrevendo, postando minhas reflexões e assuntos de interesse da minha profissão. 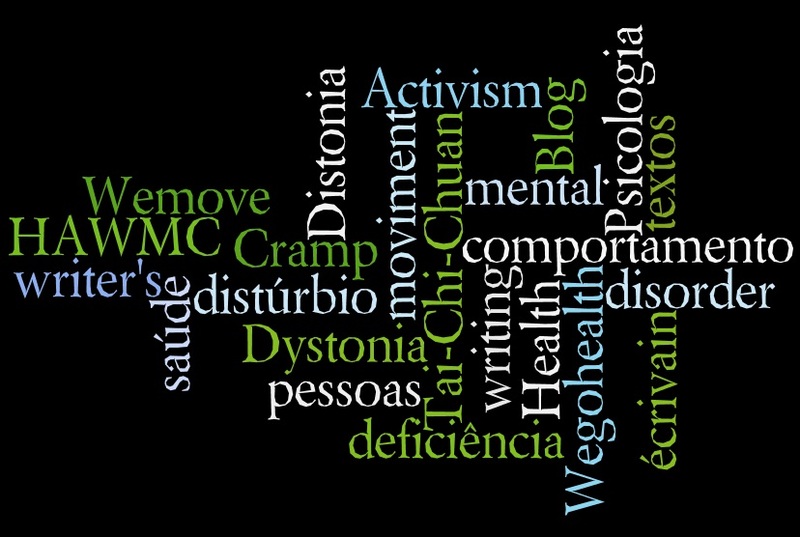 Hoje, trabalho com saúde mental, vivo com distonia focal desde criança, sou ativista da saúde e quero juntamente com o WEGOHEALTH aperfeiçoar este blog para colaborar com todos que vivem com distonia e trazer reflexões importantes sobre o comportamento humano. Eu não sou um escritor, mas escrevo assim mesmo, apesar das limitações e dificuldades que a doença câimbra do escritor me impõe. 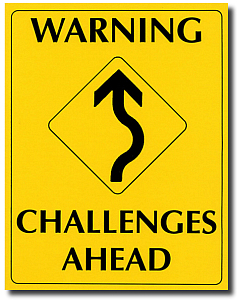 The prompt for today is to describe a list of five challenges and a list of five small victories. After I thought a lot about my lists, I was able to identify these points below that are very important to me. 1 – Continue living with writer’s cramp. 2 – Coordinate the CAPS (Psychosocial Care Center), a public health center to care for psychotic people. 3 – Continue with the rhythm of life I’m living, I work a lot. 4 – Write an article every day for the HAWMC marathon. 5 – Achieve to buy a house for me and not more paying a rent to live. 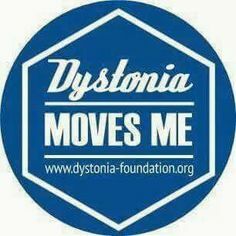 1 – The fact that I get to work and sustain myself so far, even with dystonia and cyclothymia. 2 – The recognition of my work as a psychologist by the public, colleagues and bosses. The respect and know-how through my work in mental health in the brasilian public health service. 5 – Being a health activist and write a blog about my health condition. What surprised me and made me happy is that I have managed to work with a great diversity of problems at the same time and I have managed to achieve my goals and objectives, even with a serious limitation that is a focal dystonia. I think we must be willing to fight and not lose heart because of the difficulties! This tagline was created for my blog that, at first, was intended to talk about behavior. But now the main focus of the blog is specifically for writer’s cramp and dystonia, while it also continues with the theme on the behavior of people in the world today. The challenge is to write with writer’s cramp. The challenge is to type with dystonia, feeling discomfort. The challenge is to write, type, flipping through a book, pick up a fork to make a meal … The biggest challenge is to be writer’s cramp activist and write a blog without be able to write because of illness. This figure of a doll carrying a pen is a great mascot for the writer’s cramp disease. The dummy is less than the pen. This represents the heavy bale carried by those who have the disease. 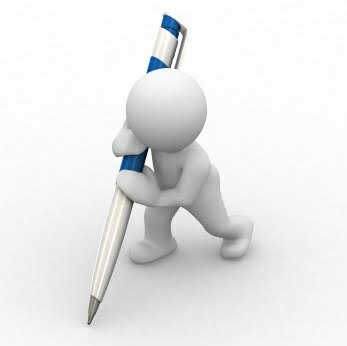 This mascot symbolizes both the desire to write and the difficulty of those who can not write because of writer’s cramp.